What would you do to support the family of the Filipino seafarer who was killed by an exploding gas cylinder on a cruise ship at Port Chalmers during the last cruise season? The National Secretary of the Apostleship of the Sea, Rose Celeste, being a Filipina, negotiated with Father John Mission, the port chaplain in Cebu, as to how best help. With the agreement of all members nationally we committed $NZ1000 to help the family and to find the best way to support them. Our two hundred and fifty prayer supporters and donors around New Zealand gave us the power to be able to act in this way. There are over 80 volunteers and workers in Stella Maris in New Zealand. 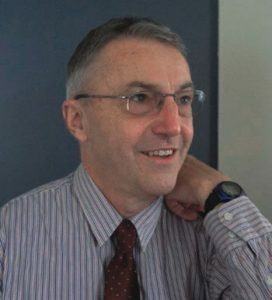 Whatever we think personally, this is an important apostolate within the Catholic Church in New Zealand. It may be easy to regard it as a negligible mission. It seems more urgent now to inform people about this work because we advocate for the least employable, the worst exploited, the most underpaid and highest physically and sexually abused workers on the planet. Because they are out on the ocean out of sight, we are unaware. But it is not a far away thing. Two seafarers have been murdered in our waters in the last two years and they are only the known ones. Many seafarers in our waters have their passports held by someone else so they are trapped and many are housed in vessels globally known as ‘rust buckets’. We provide spiritual care as well because 80% of seafarers are Roman Catholic. This is why Pope Francis calls it modern slavery. Last February, Rob and Jess Armstrong our managers in Lyttelton, were notified by the International Seafarers Welfare & Assistance Network that a ship was heading towards Lyttelton with wages unpaid. They contacted the Maritime Union NZ and Maritime NZ impounded the ship until the case was resolved before sailing. 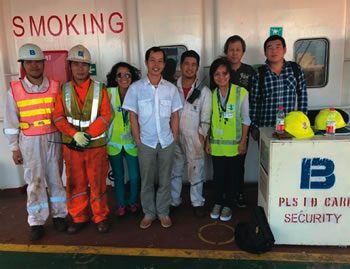 We are constantly reminded of how important our supporters are for the work we do and if you ever needed to be reminded of how much your support brings justice and pastoral care to seafarers, then this story last March shows it. 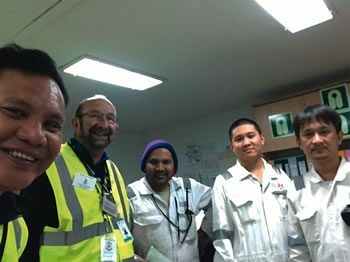 Our Stella Maris Regional Coordinator, Sr Mary Leahy, notified us of a Kiribati seafarer who had an accident on a ship heading to Wellington. He lost part of his thumb and needed urgent medical care. The team at Wellington Seafaring Centre was able to visit him at Hutt Hospital Plastics Unit and supported him right through his long post-op recovery at a motel. Our Ship Visitors in Port Tauranga. Sea Sunday this year is July 8th and if you would like to be part of the support team read this month’s magazine insert and please pray for us in this work.